It is easy to transfer data between two mobile devices that are running the same operating system. But if both your devices run different platforms say Android and iOS, that being said, here are some common problems that people can experience when they are attempting to transfer photos from Samsung to iPad with little to no success. 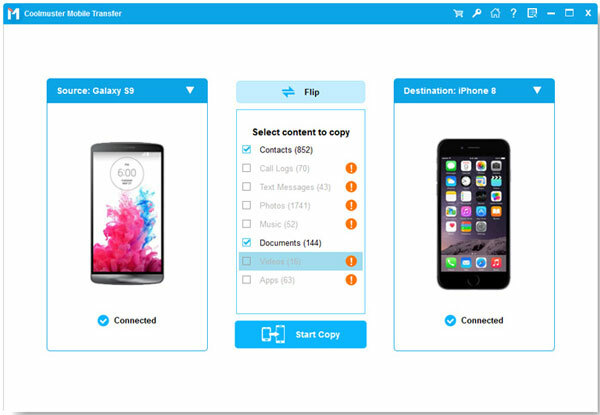 To avoid potential issues you may encounter when you plan to transfer photos from Samsung to iPad, Coolmuster Mobile Transfer provides the user with an easy 1, 2, 3 step process for transferring files without any unnecessary hassle. 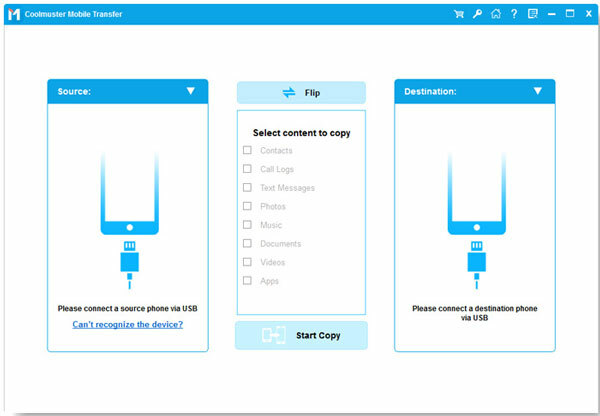 It helps it easy to transfer all photos, contacts, SMS, videos, music, apps, etc. from Samsung to iPad in one click. It also supports other Android, iOS and Symbian devices. iPad: iPad Pro, iPad Air, iPad 4, iPad mini, iPad with Retina Display, iPad 2, iPad. By using Mobile Transfer, users can prevent potential problems they may meet when transferring Samsung photos to iPad. You can Download it for free to have a try and proceed to the steps. How to Copy Samsung Photos to iPad Pro/Air/mini/4/3/2? When launching the Mobile Transfer software after you downloaded and installed it on your computer. You will see the interface, on which four modes are here for your choice. Choose "Phone to Phone Transfer" mode and click "Start". Plug your Samsung device and iPad to the computer via two USB cables. Then, the two devices will be recognized by the program and displayed on the interface side by side. All transferable file types are listed on the top. Check the "Photos" category and then start the photos transfer from Samsung to iPad by clicking the transferring icon in the middle. The transfer process will start and finish automatically.